I get the urge to do some steampunk work at the oddest times. 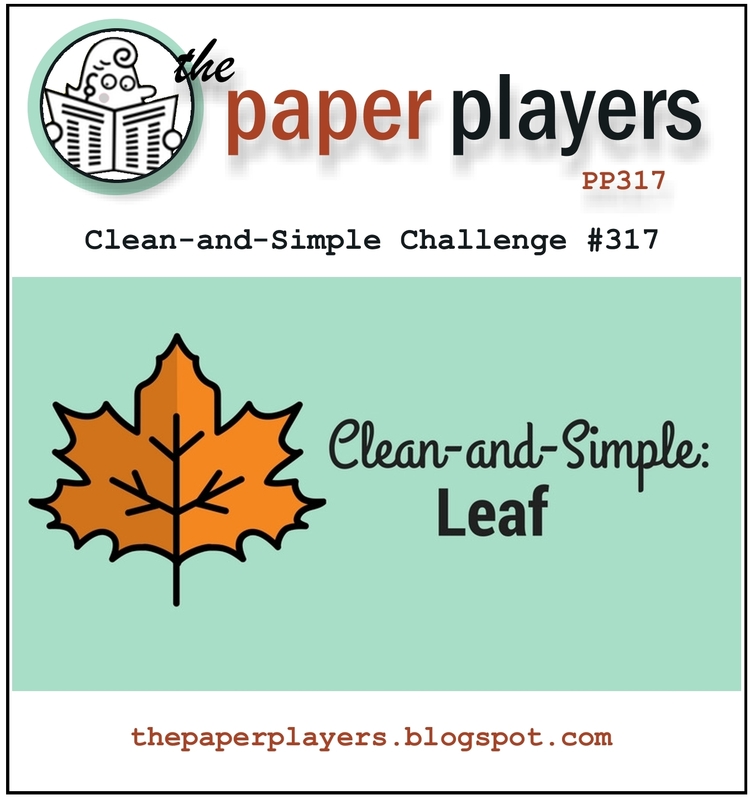 Like for a clean-and-simple challenge such as the one over at The Paper Players this week. 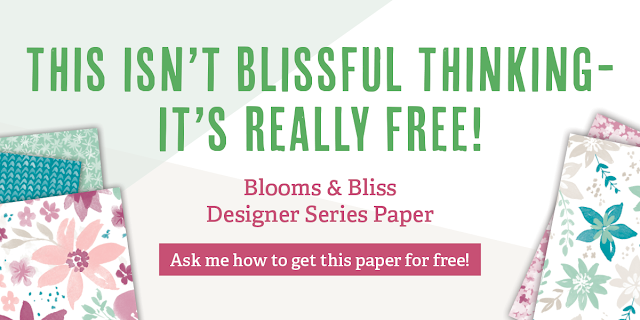 Everyone knows that Steampunk is the antithesis of Clean-and-Simple, right? 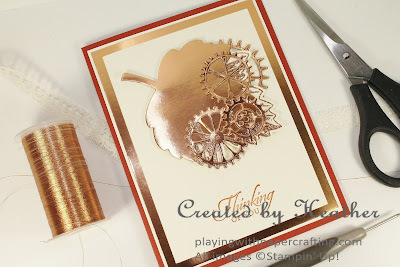 Nevertheless, I had a hankering to play with gears and copper and I had this vision of adding them to a maple leaf for some reason. So, keeping in mind that this might be the first step in a long slide toward a complete breakdown, I kind of like how it turned out. You could let me know what you think, to reassure me that I'm still somewhat in control or to send me on a quest for help! There is a lot of Copper Foil Sheet in this card and it just happens to be backordered right now, but there should be another shipment of it coming in today, so if you want to try something like this, you're in luck! I die cut the maple leaf from it using the Leaflet Framelits and the gears were die cut using a memory box die I've had for a while called Deluxe Gear Set. I also stamped a coordinating maple leaf using the Vintage Leaves stamp set in Versamark Ink and embossed it using Copper Embossing Powder, which happens to be in low inventory right now so should be ordered right away if you need it. I used the same Leaflet Framelits to die cut it, and tucked it behind the Copper Foil leaf, just offset a little. 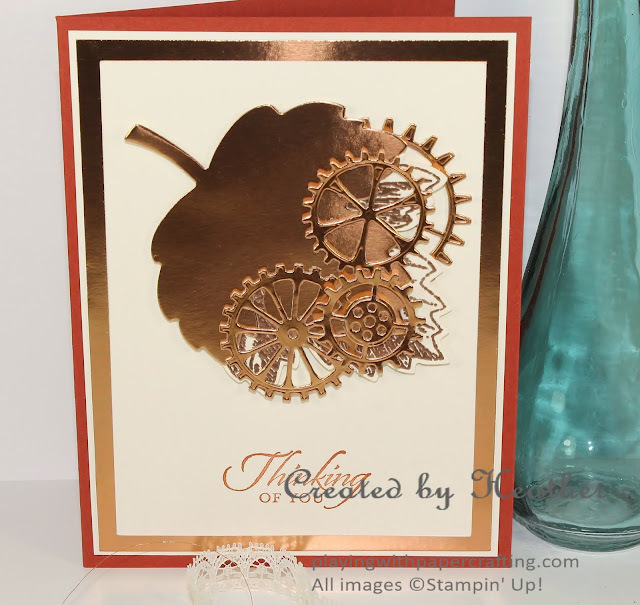 This was added to the card front using Stampin' Dimensionals after adding the largest of the gears with a glue dot. The other gears were added as shown in the photo above using glue dots or dimensionals. The sentiment is from the Wetlands stamp set, stamped in Cajun Craze ink. So what do you think? Does it work? 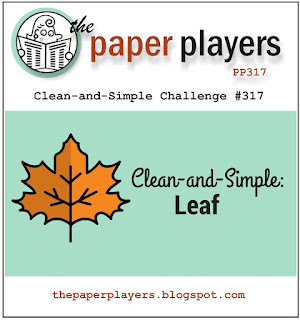 Can you have a steampunk, clean-and-simple leaf? 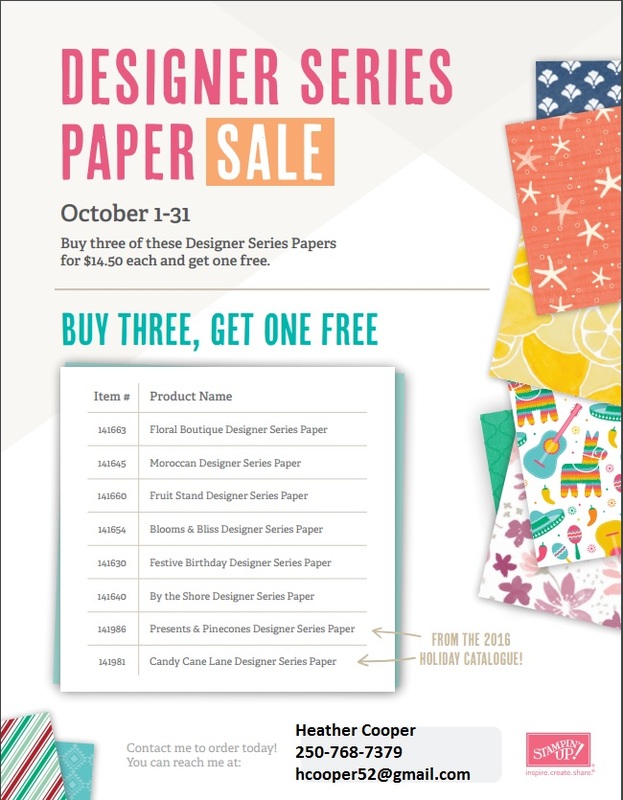 Don't forget: You have until Oct. 31 to take advantage of the Buy 3, get 1 package of Designer Series Paper promotion!